As part of PTC NSW membership, associations have an excellent opportunity to showcase their PL events by advertising to all schools in NSW, as well as a wider audience via the PTC NSW Professional learning calendar. Associations are invited to submit their upcoming events or activities to the PTC NSW secretariat. 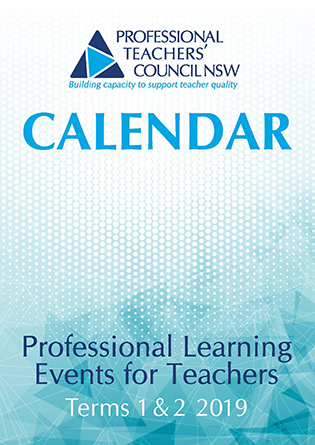 The information is compiled into a comprehensive Professional Learning calendar accessible to all teachers through the PTC NSW website and distributed via email to all its member associations and key stakeholders. We encourage all member associations to utilise this calendar as an effective advertisement for PL courses and for highlighting individual associations and attracting potential memberships.